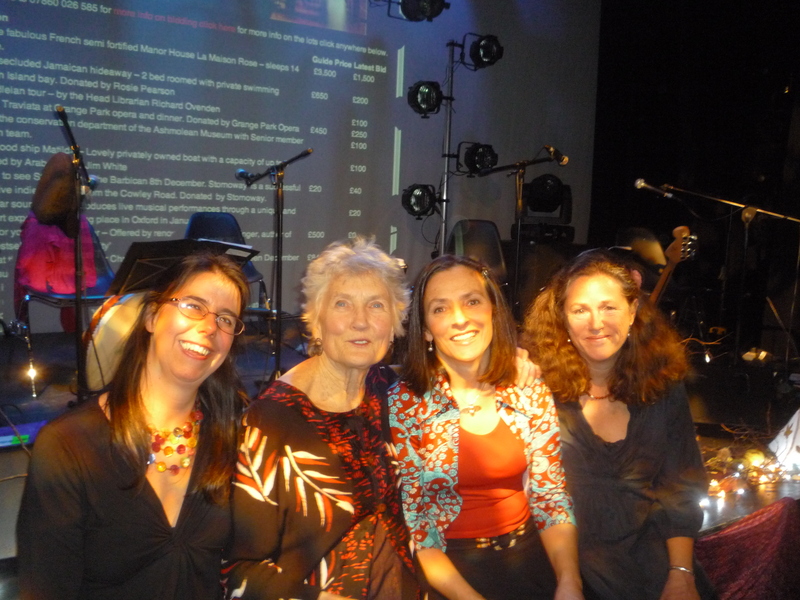 This year, the band I’ve played with for twelve years, Kismet, had an unexpected opportunity to work with Peggy Seeger, a musician whom publicists are fond of describing as a “folk legend.” We played together in a fund raiser for Pegasus Theatre last month, and the experience has left me feeling both honoured and affirmed. As we met to discuss our programme and rehearse together, there was much to learn from Peggy’s stagecraft and professionalism. I appreciated her pots of sharp pencils and rows of lever arch folders of Repertoire A – G and so on. “Who keeps your repertoire?” she asked us, and we looked at one another abashed, thinking of our dishevelled filing systems. Interesting how we tend to imagine that great musicians are all about inspiration and pure talent, and forget that good organisation and attention to detail plays its part. Kismet has always worried a bit about having a mixture of soft songs and full-on instrumentals. Peggy taught us that you can place opposites next to one another for great effect. “Do you have any funny songs?” she asked us. Err . . . we laugh a lot in our rehearsals, but the humour tends not to make it into our songs. Luckily Jon had a comedy number in his back pocket, “I can’t believe it’s not a real pub”. With the encouragement of Peggy, who is up for anything, Kath realised a long-held dream for comedy dressing-up on stage . . .
We followed this song up with our most hard-hitting number, and it worked just fine. Working together with Peggy, we chose material that reflected themes we both cared about, so clearly songs about women, and about the earth featured. We each sang a song about our mothers, both of whom had died young, as it turned out. She sang Woman on Wheels, about a school headmistress cutting the fences at Greenham from her wheelchair. I sang Love’s Song, a song I’d written on retreat, grieving the loss of the wilds, but feeling connected to all things. They were rooted in different places, but felt like two sides of the same coin. Standing next to someone great on stage, it is easy to feel daunted, to imagine yourself less. Yet Peggy is too smart to allow that to happen. Instead she draws you out. Being around her, you feel bolder, you pull your socks up. I recognised the temptation to see her as a role model, and yet that would be wrong, because she is so much herself, she can only encourage you to be that too: yourself, and more of it. Peggy is someone who’s lived long and suffered, someone who works hard, and continues to keep bang up to date with the latest issue. While the media wants to focus on her past and her famous connections, Peggy seems very much in the present. I deeply admire her integrity. Whilst her song-writing craft is superlative, it’s always the message that matters. I’ve often spoken of the need for and the importance of elders. Well, as a song-writer, a musician, a performer and also as a human being, I’ve found one in Peggy. 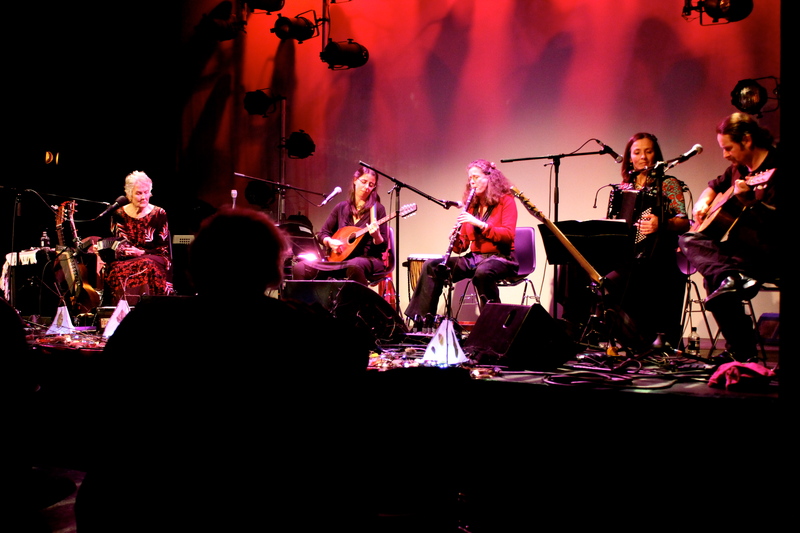 Since Kismet is a late maturing band, never going to provide a youthful poster girl for the music industry, I’m glad to be sharing a stage with a woman in her 78th year, showing us what riches age and experience can bring. If this is what the future holds for Kismet, it doesn’t look so bad. 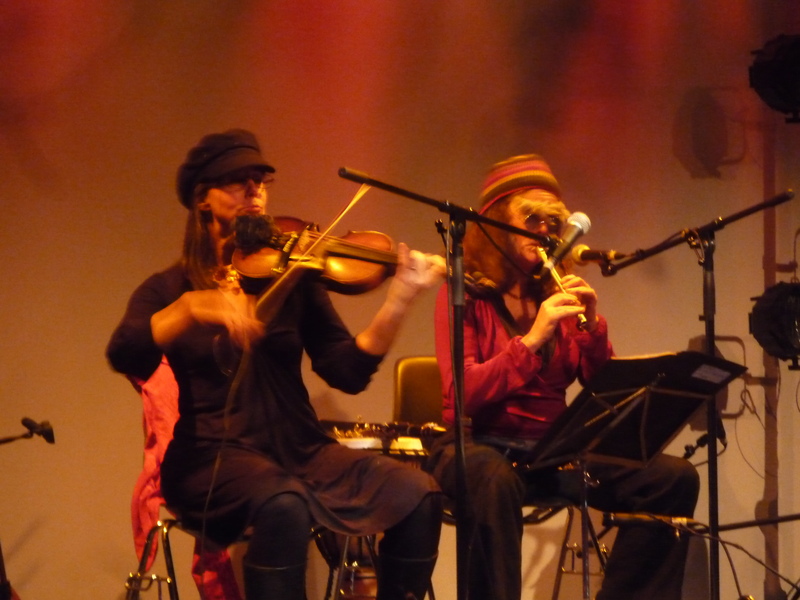 Kismet is currently recording a new CD, due out in 2014. For more info visit http://www.kismet-music.co.uk. To join the mailing list, email info@kismet-music.co.uk.